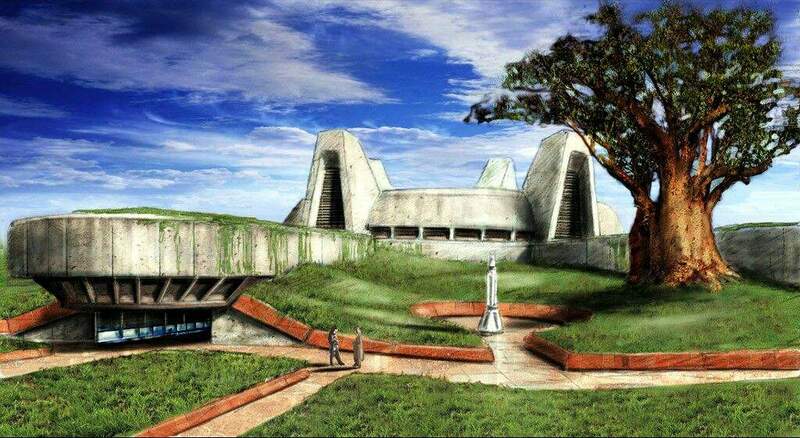 The original Jedi Enclave of the Planet Dantooine was built in the centuries prior to the Great Sith War, which took place around the years 4,000 BBY and 3,996 BBY. A precise record of the enclave construction date does not exist. The enclave was capable of housing dozens of Jedi at a time, and provided numerous training facilities and equipment specialised for Jedi use. Use of the Jedi Enclave of Dantooine was continued from its construction up until its demolition at the hands of Darth Malak, a Sith Lord of the era who leveled the site utilising an attack by a Sith Armada, an attack conducted during the year 3,956 BBY. Following the First Jedi Purge that ended 3,951 BBY, heavy reconstruction was carried out to restore the site of the enclave to its former state prior to the bombardment carried out by the Sith forces. This reconstruction saw the enclave completed in close replication to its original construction. The site was used consistently for the training of Jedi in times of peace for centuries following the re-establishing of the enclave. However, for reasons unknown, the enclave was eventually abandoned and fell into ruin once again.By the time the First Galactic Empire replaced the Galactic Republic in 19 BBY, the Dantooine Enclave was still out of use. It was only in recent centuries since the demolition of the Empire that the Dantooine enclave had come into active use once again. The Dantooine Enclave was rebuilt in close replication of the original Enclave once more, however, it fell victim to a vicious assault by Mandalorian forces in the year 278 ABY. The branch was eventually rebuilt and remain intact for several decades. On 339.29 ABY, the enclave was attacked by the Sith-led Imperium which saw many of the Jedi on Dantooine killed or flee to the temples on Ossus and Ilum . Near the end of the Imperium War, 347.28 ABY, the High Council appointed Simus Cnydaria to Dantooine’s residential Council to oversee its reconstitution. The branch was officially re-established on 348.03 ABY. In recent years the temple has seen a boom in population due to their extensive attempts at recruitment. The temple is also visited by numerous Imperial Knights each year, travelling from Bastion in an ongoing training exchange.